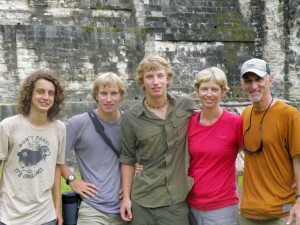 Catrell and I made the decision in August 2005 to sell nearly everything we owned to take our three sons – Morgan, Zachary and Harrison – on an around the world trek. We wanted them to see the world before starting college, and knew that the hands-on, immersive education would help shape their lives and careers. However, when we made the decision, we had not given much thought to how their traditional education would be completed before, during or after we began the trek in 2008. That’s when fate played a major role in helping us find a solution. In the ninth grade, Morgan and Zach were accepted into a Veterinarian Magnet Program in Orange County. It sounded great, and would be a perfect fit for their love of animals. However, it became clear after the first day of class that the program was not as advertised. Instead of being a cohort of like-minded students who would learn together, that year Orange County changed the rules and allowed nearly all students at the school to participate in the veterinarian-related classes. We quickly decided that was not in the best interests of Morgan and Zach and began looking for an alternative. 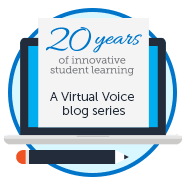 In early 2005, I learned about Florida Virtual School (FLVS) while attending a business luncheon in Orlando. At the time, I didn’t give it much thought, and did not believe our children would ever use it. It wasn’t until we were faced with the challenge of finding a new school that I remembered FLVS. And, as they say, the rest is history. Within three days, we withdrew Morgan and Zach from Orange County Schools and enrolled them in FLVS. Because they were full-time students, Catrell had to rearrange her schedule to make sure she was available to “keep them on track.” As any parent knows whose children use online learning, one of the greatest challenges is the commitment and personal discipline required to successfully use this form of education. Thanks to Catrell’s constant involvement, Morgan and Zach adapted well to the new structure. There were challenges in the beginning, but it didn’t take long to find a rhythm and excel. As a result, they stayed on task and worked on school four days a week and on Fridays volunteered at a local animal park. Originally, the plan was for them to complete their ninth grade year using FLVS and enroll again at a local high school. However, it worked so well that they continued with FLVS and completed their 12th-grade requirements before we left on the around the world trek. Harrison saw what his brothers were doing and decided to become a full-time FLVS student too. He worked ahead and completed his 9th-grade year before we left. He did take one online course while we traveled, but at the time access to the Internet was challenging. When we returned to the U.S. in late 2009, Harrison resumed his classes at FLVS and dual-enrolled at the local community college. Morgan and Zach enrolled at the same community college and began working on their Associate of Arts degrees. Although online learning is not for everyone, it certainly helped us accomplish our dream of traveling the world with our three teenage sons. Whether someone is taking one or two classes or using it full time, online learning provides many benefits, including a lot more flexibility than a traditional classroom education. 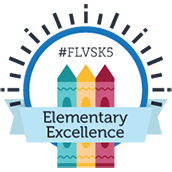 With sufficient planning and commitment, FLVS is a great way to get an excellent education and see the world. This post was written by Mike Cooney, father of three FLVS alumni, and is the 10th in a year-long series by the Cooney family. 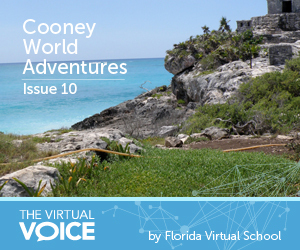 His book, Cooney World Adventures: Backpacking with Teens Through Latin America, details the first leg of their trek and tells the stories of their adventures (and misadventures) while traveling through Central and South America almost entirely by bus. Learn more at www.cooneyworldadventures.com or by emailing mike@cooneyworldadventures.com. This entry was posted in Educator Edition, Homeschool Edition, Parent Edition and tagged Cooney World Adventures, Cooneys, Culture, Flexibility, Global Citizenship, Goals, Online Learning, Sociology, South America, Student Accomplishments, Student Achievement, Student Achievements, Student Planning, Student Success, Tips for Parents, Tips for Students, Travel, Travel Safety, Travel Safety Awareness Month, World Languages on February 29, 2016 by Guest Blogger.